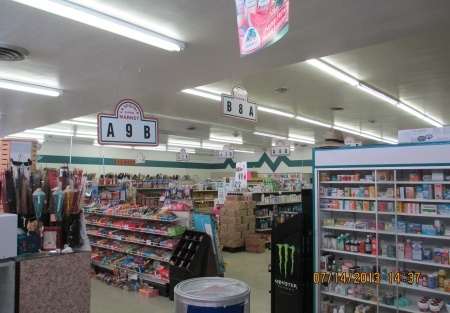 * This is a grocery store & supermarket business for sale in Stanislaus County CA. * This business is surrounded by a dense residential area with loyal customer base. * This store is about 9280 sq.ft. estimated and lot size is about 1 arce estimated, good enough to run multiple businesses. It also have meat section which generates good income. Total rental income comes about $4325 per month from multiple shops. * The store sells general grocery store items, dairy products, produce, beer & wine, tobacco products, gift items, mexican food, lotto lottery, and cold drinks. * Total Store gross sale is about $759,000 annual estimated with good margin, as per owner. * Additional income comes from lotto lottery, phone cards, ATM, and other third party services. * This is an semi-owner absentee business with room for sale growth with proper management. * This store for sale is good for a family run who can spend some time on the business to take care well of the customers. * The business sale include Type 20 off Sale Beer & Wine license with furniture, fixtures, and equipment in the store (owned by the owner). * Owner can also sell business opportunity only. * Invenotry is not included in sale price and it is sold separately. * Owner is willing to finance the deal for buyer with mentioned down payment. Register and SIGN NDA online, then Call or Email us to discuss. Potential to increase profit by reducing unwanted payroll costs. Real Estate is also available for sale. Big size store with about 1 acre lot size. Established store in the area since 1979. ABC license included in the sale.